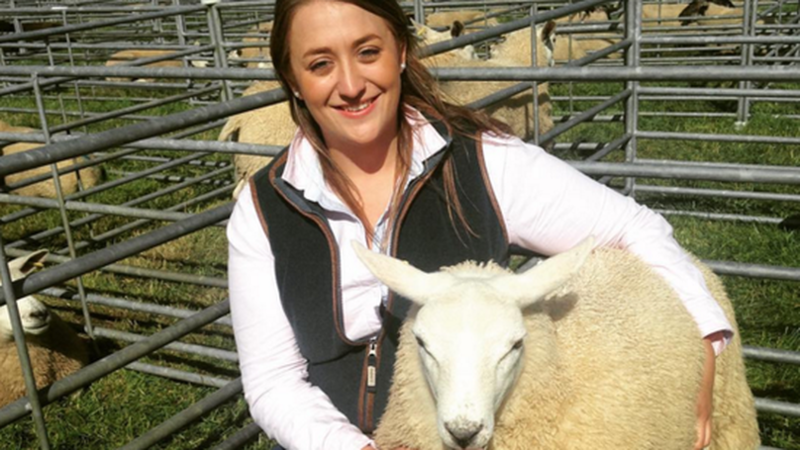 Jennifer is a Rural Surveyor based in our Edinburgh office. She is involved in a wide range of valuation and professional consultancy across the Scottish Borders and Lothians. Here she explains how the valuable skills and experiences she gained during her work experience placement back in 2015, ultimately set her up for a career in rural surveying. I was involved in work across Scotland and the North of England and my working week ranged greatly from training days taking place on estates within the Cairngorms National Park to hiking up hills on the Scotland England Border in order to GPS water sources. I was involved in a wide variety of work including estate management, forestry, valuations and farm sales ranging from valuing large mixed farming and sporting estates to renewing smaller grazing leases on a few acres of land. My main base was the Edinburgh office, although the nature of the job meant I was out of the office visiting farms or estates and attending training days nearly every other day. The first week saw me completing various inductions and training courses including the usual health & safety training but I also learnt how to use Galbraith's GIS (geographic information system) platform where layers of data are recorded onto a digital map of Scotland. By the end of the week I was helping set up the Galbraith trade stand at the Border Union Show. During the placement Galbraith had a number of agricultural properties on the market. I assisted with the sale of one farm by taking prospective buyers around the farm cottages and answering any queries. In addition I researched a variety of issues arising from the sale of farms including the new Basic Payment Scheme and various local planning policies and what this means for prospective buyers. Many farm sales go to a closing date and I assisted with two of these which included liaising with lawyers who are acting on behalf of potential buyers and ensuring any issues are cleared up. I learnt many skills including professionalism and communication during this aspect of the job all invaluable experience which I would not have gained through university study. After the placement I applied to Galbraith's graduate scheme and was offered an interview. The abundance of experience and skills I gained during the placement allowed me answer questions with more depth than I would have otherwise been able to. After the interview I was offered a graduate rural surveyor position and re-joined the Edinburgh office in September 2016. My graduate APC training lasted just over two years and if I thought that my placement was varied, it was nothing compared to how varied my APC training would be. My work took me south to Northumberland and north to Aberdeenshire all within a few days. The vast number of people & properties that I have the chance to be involved with on a day-to-day basis is also fascinating. Aside from the day job, throughout my APC training, I attended a vast number of events held & attended by Galbraith including The Royal Highland show, Scottish Game fair, Stirling Bulls Sales, a farming seminar at Murrayfield stadium and many Edinburgh Rugby games with clients. The Assessment of Professional Competence means you have to complete a minimum of 40 hours of Continuing Professional Development each year. I complete a varied amount of CPD, supported by Galbraith. CPD included internal graduate training days, Central Association of Agricultural Valuers Training Days, RICS mid-session conference, and Galbraith land agent days. Change is happening all of the time within our industry so these events and training sessions were essential to allow me to keep up as well as giving me the chance to liase with other professionals. Following the successful completion of the APC, which involves written submissions and a professional interview, I qualified as a Chartered Rural Surveyor in October 2018 and became a RICS Registered Valuer shortly after. I also completed the Central Association of Agricultural Valuers exams in November 2018. The CAAV exams focus on rural matters in particular and allow me to broaden my knowledge aside from the APC. I now look forward to getting stuck into professional life and building upon my own client base. I am mostly involved in a wide range of valuation and professional consultancy across the Scottish Borders and Lothians. I was one of the first students taken on for work experience and now the number of placements students going on to gain a graduate placement with Galbraith is growing each year. Both my experience and that of many other graduates of Galbraith prove that a work experience placement is the most useful and constructive few months you can spend. Placements allow you a true insight into industry - and ultimately set me up for my graduate job and beyond!